Refresher wipes, alcohol free, 5" x 7" individually wrapped towelettes. 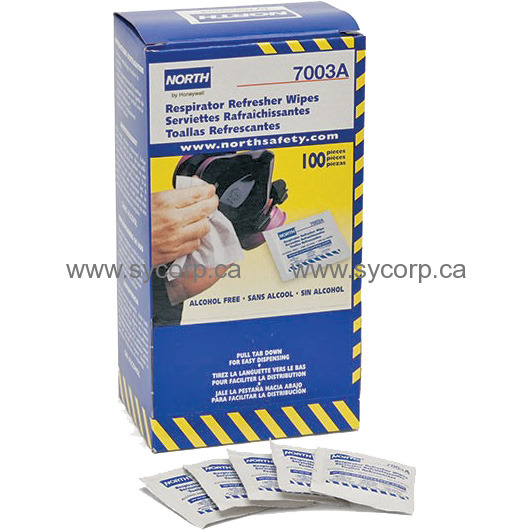 Refresher wipe pads provide a quick, easy method of removing perspiration and body oils from the respirator facepiece between scheduled cleanings. These wipe pads make respirator usage more acceptable to the wearer by improving comfort. The 80992 germicidal solution is an EPA (Environmental Protection Agency) registered product. You can use it for routine cleaning and disinfecting of your respirator facepiece.